For today's saint we have a more direct connection to the architecture in question. 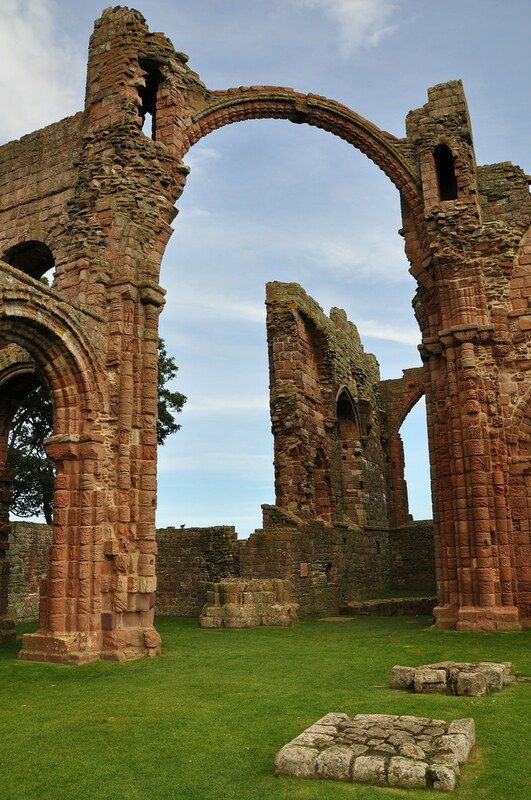 The Irish-born Saint Aiden founded the monastery on the island of Lindisfarne (also known as the Holy Island) as well as other churches in the area. He was also the first Bishop of Lindisfarne. 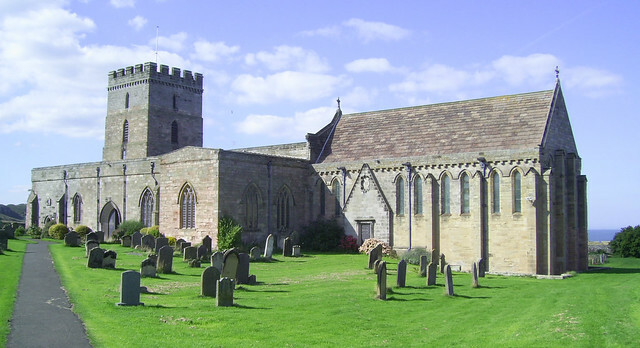 The church of St Aidan, Bamburgh is one of those founded by St Aidan in Northumbria. It is also the place where he died. The present church building is from the 12-13th century (I found conflicting dates) and is a rather shockingly odd conglomeration. The chancel (clearly visible as the separate gabled volume on the right) is by one account the second longest in England. Photos of the interior are available at the parish church website. 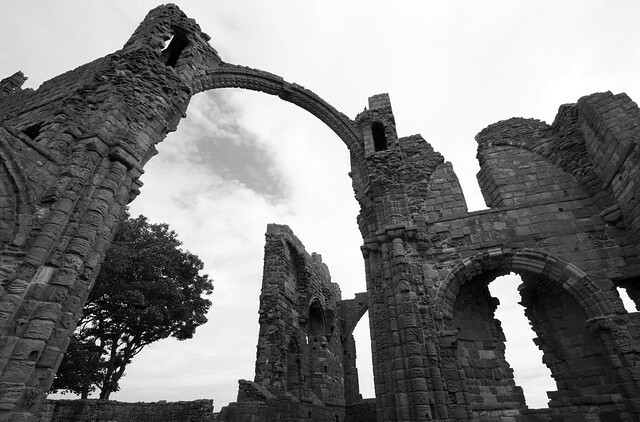 The next photos are from the monastery founded by St Aidan at Lindisfarne. These are actually the ruins of the buildings reconstructed in the 12th century after the original installation fell to Vikings in the 8th century.